As utilities across the country continue to take steps to modernize their electric grids, stakeholders must take an increasingly thoughtful and methodical approach to evaluating these plans. This paper begins with a discussion of the potential benefits of grid modernization and the potential challenges to securing a favorable benefit-to-cost ratio for customers. This paper then focuses on the South Carolina Grid Improvement Plan proposed by Duke Energy, helping South Carolina stakeholders evaluate the plan’s breadth, cost, and recommendations. Utilities across the world are taking steps to modernize their electric grids. In the most basic sense, this means augmenting the grid with software and communications technologies to help the grid meet the new demands society is placing upon it. States serious about grid modernization are taking a thoughtful and methodical approach through dedicated investigational proceedings — a reflection of the enormous capital expenditures about to be made, and the enormous consequences of mistakes. 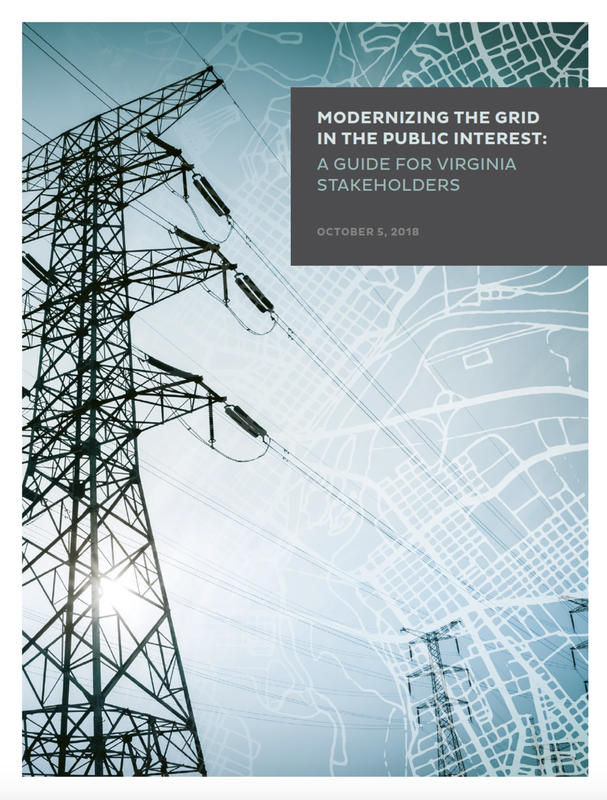 This paper looks at Grid Modernization plans in general, and Dominion’s in Virginia specifically, providing a framework to evaluate which investments are helpful to the grid transition, and which are less useful. Electricity grids across the nation are undergoing a rapid transition. Principle among these contributors is the increased adoption of distributed energy resources (DER). As the prevalence of DER dramatically expands across the country, utilities and industry experts are wrestling with how to effectively and equitably incorporate them into the greater bulk electric system. Experts are increasingly asking the same question: do DER complement or frustrate this grid transition? This paper, authored by GridLab and Gridworks, in collaboration with Utah Clean Energy and funded through a Department of Energy Solar Market Pathways grant, explores the capabilities of DER, with emphasis on how these capabilities compliment the integration of utility-scale renewable development, while simultaneously providing unique grid services, such as flexibility. The paper further examines three case studies highlighting situations in which utilities have openly embraced the capabilities of DER to the benefit of their consumers. This paper provides a synthesis of existing literature on Integrated Distribution Planning and activity in various states, a summary of anticipated changes and new required capabilities, and recommendations for regulators on potential next steps for beginning the transition to IDP. Curt Volkmann was retained by GridLab to present on emerging best practices for IDP to the Ohio Commission as part of their Power Forward process. In addition to his well-received presentation, given a depth of knowledge on the topic based on work in similar states, Curt authored the attached paper. We believe this report will be particularly helpful for states that are in the process of moving to Integrated Distribution Planning, and need to understand the best practices and lessons learned from states that are further along. Dr. Michael Milligan (retired from NREL) filed comments at FERC in response to the DOE Notice of Proposed Rule Making (NOPR) requesting that FERC provide support for coal and nuclear plants. GridLab hired Dr. Milligan to file these comments in response to NERC’s comments on the NOPR, which were out of step with other statements that NERC has made. Dr. Milligan primarily noted that NERC is the entity tasked with maintaining reliability and resiliency, and is the right place for studying this concern (if it is a concern) of resilience. Additionally, Dr. Milligan made the point that NERC has been studying the issue of thermal retirements for some time, and has not found that onsite fuel is a requirement or a concern from a reliability perspective.